START BY ADDING FIREFOX SO ITS EASIER TO SIDELOAD OTHER APPS FROM THIS POINT. Easily Root your OUYA with 1 click. Just Download and install the app and gain root access, unlock the bootloader, and add a custom recovery. With root access you can customize OUYA for optimized look and feel making it easier to use and look the way you want it to. Now you can also add many other Android apps not available. Add the Google Play Store and use any app like you would on any other Android phone or tablet. Fix any problems with OUYA. Stop waiting for an update for a fix that may never come. With ROOT, OUYA just got a whole lot better! 3. Wait few seconds, done. 4. With root access you can customize OUYA for optimized look and feel making it easier to use and look the way you want it to. Now you can also add many other Android apps not available. Add the Google Play Store and use any app like you would on any other Android phone or tablet. Fix any problems with OUYA. Stop waiting for an update for a fix that may never come. 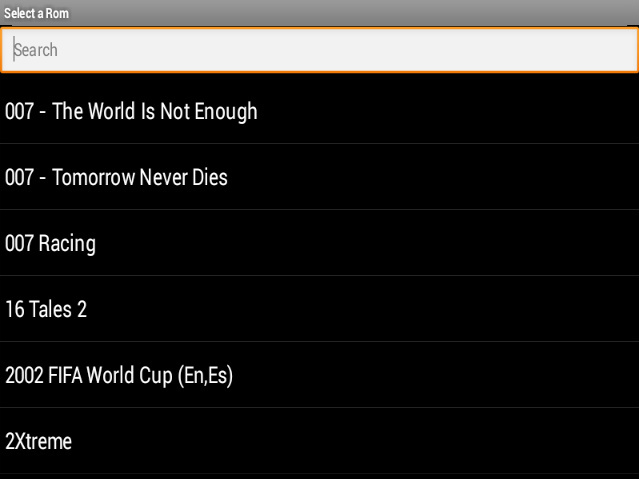 With ROOT, OUYA just got a whole lot better! You can download the installer from http://dl.xposed.info/latest.apk. The attached XposedBridgeApi*.jar is only needed for developers. First step for everything you do: Create a nandroid backup and make sure you know how to restore it! I'm not responsible for anything you do with your phone/tablet/rice cooker. There is also the risk to soft-brick your device. In such a case, restoring a backup is the easiest way to get rid of it (other possibilities mentioned below). 2. Launch the Xposed Installer, go to the "Framework" section and click on "Install/Update"
I have edited the vold.fstab file so the external USb will now show up when connected as an MTP or camera device, it shows up in settings under storage, and apps can see it to play media or read books from. dev_mount sdcard /storage. If you are not doing the edit through an Android file manager, Android terminal, or Linux but on a Windows system you will need to install Notepad ++ or similar editor that recognizes the Linux format. Your tablet must be rooted to do this. Link below is to a simple installer under Windows, with all the files you need. Instructions included in zip, but basically run the install command and it will backup and push the new vold file, restore takes you back to stock. With any updates you will likely have to rerun this, not certain though. Added image of MTP connection to computer using 16GB MicroSd through USB. SIMPLE DISCLAIMER: Blah blah blah kill device, blah blabbity blah, not my problem blah blah..... But the thing about this edit is the worst that could happen is the device boots and cant see nand or usb, restoring fixes. It’s very recommended for everyone. Well, I’m guessing most people end up with superuser apk after a root. I never actually installed it as such, but I am very happy with what it dose, providing a kind of firewall between your apps and your phones privates. I only run a few apps that require root access and super user dutifully asks me if they are allowed access. Superuser apk is nice root app, does what it ought to, but there’s always scope for more. Now, Link2SD does not seem to recognize that there is indeed an ext4 formatted 2nd partition on the USB drive. To make it work you have to mount it manually (see below), or install my SDExt2Mounter for Ouya, or use the script in post #3. Now start Link2SD on the Ouya, and start using that cumbersome touchpad to move apps and data (use the Link button, as Move to SD card does not work for Ouya) to your new found storage space! There are some options in the Link2SD menu to make all future installed app be automatically moved (and linked) to the new location, but I haven't tested that one yet. Of course things will break if you remove the USB drive from the Ouya, and if you really power down the Ouya, you have to make sure you first mount the ext4 partition before the launcher starts, or you cannot use the games! Make sure you have rooted your Ouya and installed busybox; OR you will have to reroot your Ouya after each firmware upgrade! Install SDExt2Mounter; you will find the app in the "PLAY" menu, not in the "MAKE" menu. Yes! My first Ouya app! After the reboot step, your Ouya will automatically mount the sdext2 partition so your games will show up in the launcher. Obviously, you only need to go through these steps once. Start the app, grant it PERMANTENT root access, and hit the "(make and) mount button". I extended the /system/bin/app_process executable to load a JAR file on startup. The classes of this file will sit in every process (including the one for system services) and can act with their powers. And even more: I have implemented something that allows developers to replace any method in any class (may it be in the framework, systemui or a custom app). This makes Xposed very powerful. You can change parameters for the method call, modify the return value or skip the call to the method completely - it's all up to you! Also replacing or adding resources is easy. •	It will work for odexed and deodexed ROMs. •	Your mod is not bound to a specific version of the ROM. Unless there is a major change in the methods called for a certain functionality,your mod will continue to work even when you upgrade your ROM. Hell, it will probably even work with different ROMs. •	Multiple mods can be installed at the same time, even if they change the same package. So you can use these battery icons and those quick toggles. Even hooking the same method twice is possible. Of course, this only works properly if the mods are not trying to do incompatible things. •	It does its magic at runtime. That means you can implement options to let the user decide if they prefer the bikeshed to be painted in red or blue. Or you can have some extra logic for certain ROMs without building different mod versions. •	It can be disabled easily without having to reflash. You can flash the attached Xposed-Disabler-CWM.zip by Tungstwenty. It will be copied to your (external) SD card when you install Xposed as well. The only thing it does is copying /system/bin/app_process.orig back to /system/bin/app_process, which you can also do yourself (e.g. with adb shell in recovery mode). You could also create a file /data/xposed/disabled, which causes Xposed to be bypassed as well. Please don't use this thread for problems with modules! Use the thread of the module instead. If you are an interested developer, give it a try. The development tutorial will help you get started. Further documentation (e.g. how to replace resources) ishere. And of course, you can ask your development questions in this thread. If you have suggestions for new functions the framework could provide (which means they should be useful for more than your module), you can do this here as well. However, requests that I or somewhen else should write a module for xyz are NOT allowed here. Again, this thread is only about the framework. 3. Disable Auto Update, but still can check the update in "SYSTEM UPDATES"
Add: Disable Auto Update, but still can check the update in "SYSTEM UPDATES"
Easily Root your OUYA with 1 click. Just Download and install the app and gain root access, unlock the bootloader, and add a custom recovery. STEP 1. Turn on OUYA and head on over to the DISCOVER store for OUYA. STEP 2. Locate the 'GENRES' folder inside DISCOVER and locate and open 'RETRO' sub-folder. Here you will find two apps you must download and install. STEP 3. Locate, download and install two emulator apps for OUYA: locate 'FPse for OUYA' emulator and download and install it. Then locate 'RETRO ARCH' and download it. STEP 4. Go back to OUYA main menu and open MAKE tab. Go to your browser (we recommend Firefox browser for OUYA) and head on over to our website: http://ouyafree.webs.com/play and locate the app PSX Game ROM Buddy (GRB) app for OUYA and click download. Using Firefox browser makes it easy to download and install all your apps. On OUYAFREE website you'll find both ROM Buddy apps. The first on is for all games from Atari to N64. Then PSX ROM Buddy is for PlayStation. Click and Download PSX ROM Buddy. STEP 5. Once you’re done downloading PSX ROM Buddy app it should automatically pop up with install request. If you are using OUYA stock browser you will need to locate the downloaded fie inside the MANAGE settings section under STORAGE. Open storage and click on downloads. Find the PSX app and click on it to install. Go back to our website and under the OUYAFREE website PLAY tab you must download the BIOS for your region. There are 3 choices: USA, JAPAN, and EUROPE. Choose the one for you. BIOS is the key for PSX ROMs to run with the emulators. Unlike the regular OUYAFREE Game ROM Buddy (which has all other gaming system ROMs) does not need a BIOS.bin file extension added, but for PSX ROMs to run on OUYA the BIOS extension must be added. Playstation Emulators, such as FPse and PSX4Droid, require you to have a Playstation BIOS to operate. You can think of Playstation BIOS as a set of instructions to jump start the Playstation Emulator. Without it, you will not be able to play the games or ROMs in our case. What you need to do is download the Playstation BIOS, unZIP it, and then place in the same folder as the ROMs. Afterwards, load it into the emulator just like you would open a ROM. When completed, you will be able to select a ROM and play. 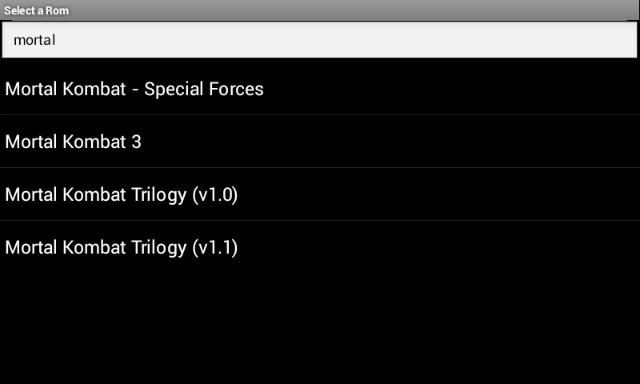 *You only need 1 of the 3 Playstation BIOS Files listed, the one that works best with FPse Android Emulator is SCPH1001. Pick SCHPH1001 unless you know which one you need. STEP 7. To install the BIOS (if using Firefox browser) once file is downloaded, (takes few seconds its only 400kb) it should ask to install or open. If you have any of the ROM Buddy apps installed it should present an option to choose it to unzip the BIOS file. Choose Rom Buddy to unzip. Once you click it and choose to unzip it will unzip inside ROM Buddy quickly. Close all and head to the PLAY tab on your OUYA. ROM Buddy PSX will unZIP and add the BIOS to the PSX folder. STEP 8. Start by opening the FPse emulator and choose BIOS option. Locate the SCPH file you downloaded and click on the file to be added to the emulator. Don't worry this is normal. FPse emulator doesn't seem to play the PSX ROMs but I found it useful for installing the BIOS. STEP 9. Now open MAKE and click on the PSX Game ROM Buddy app and find the game you want to download and play. (REMEMBER, PSX games are bigger than the other GRB games found in the other GRM for all other games. 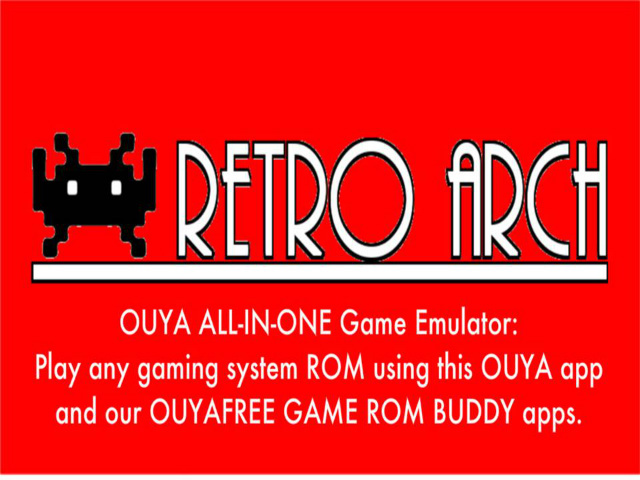 Since OUYA doesn't have a notification bar to see the progress of the downloaded ROM, we suggest waiting about 3-5 minutes (depending on your Internet speed) before locating the file inside the Retro Arch emulator. ATTENTION: DOWNLOAD ONE GAME AT A TIME AND DO NOT CLOSE PSX ROM BUDDY. SO A RULE OF THUMB IS TO CLICK ON GAME AND DOWNLOAD, THEN WAIT 5 MINUTES TILL YOU'RE SURE IT HAS FINISHED. Click 'A' button on OUYA controller and exit the keyboard. Now scroll and search the games A thru Z. THEN GO TO PLAY AND USE FILEPWN FILE MANAGER TO LOCATE ROMs. YOU MUST OPEN THE ROMs BACK IN PSX ROM BUDDY TO EXTRACT FILE.BIN FROM THE GAME.ZIP. THIS CAN TAKE UPTO 5 MINUTES TO EXTRACT THE ENTIRE FILE TO BIN FORMAT. STEP 10. All ROMs will always be found in the ROMs folder. Depending on the system there will be a folder for each system. For example if you download PSX ROMs they will appear in ROMs\\ PSX. If you've downloaded a game for let's say Nintendo (NES) when opening the emulator to find the ROM, scroll down until you see the ROMs folder and click open to choose system folder. Main Menu of Retro Arch Options: Select Load Game. Inside Retro Arch emulator you'll find all the different emulators for every game console. Select PCSX-PlayStation1 emulator. Inside ROMs folder you'll find the different game ROM folders that you've downloaded, we are looking for PSX. To start playing every PlayStation1 game ever made you must download 4 things to your OUYA. Install ROM Buddy before BIOS. Use rom buddy to extract (unZIP) the BIOS file on the OUYA. Then open FPse and add BIOS under the bios tab in FPse. Then go to PSX ROM Buddy and find a game you want. Download the game. (Wait 2-5 minutes per game before locating the ps1 ROM) Locate the game ROM with Retro Arch emulator. Open the play station emulator (retro arch has emulator for all gaming systems so pick the right one) once you choose the game it may take up to a minute for it to load, so in that time your screen may go black while it loads. Need more help? Visit us on Facebook to like our page and get responses to all your questions in real time.